Ice Cream and 4th of July simply go hand in hand! I remember as a little girl our neighborhood would have a pot luck and every family would bring out their own homemade ice cream (ohh so delicious!!! ), so this recipe just shouts 4th of July for me!! Seriously, can it get much better than this? 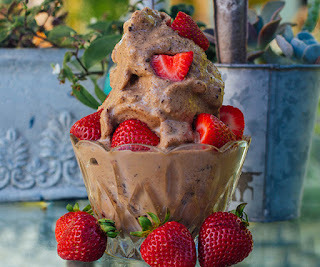 All of my favorite foods in ONE recipe...chocolate, peanut butter, Shakeology and ice cream! Why NOT combine them all together for a delicious healthy dessert! Here you go...4 ingredients, 10 minutes to make (plus freezing time) and a healthy ice cream all in one! Place banana in plastic bag; freeze for 4 hours or until completely frozen. 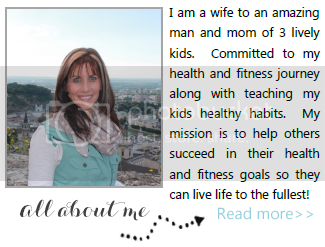 Beachbody Coaching, Is it Right for You? Be a Successful Work at Home Mom! WHY NOT YOU? FIXATE 21 Day Fix Cookbook is HERE! FIXATE - 21 Day Fix Cookbook and GIVEAWAY!! How to Survive a 4th of July Holiday Weekend!